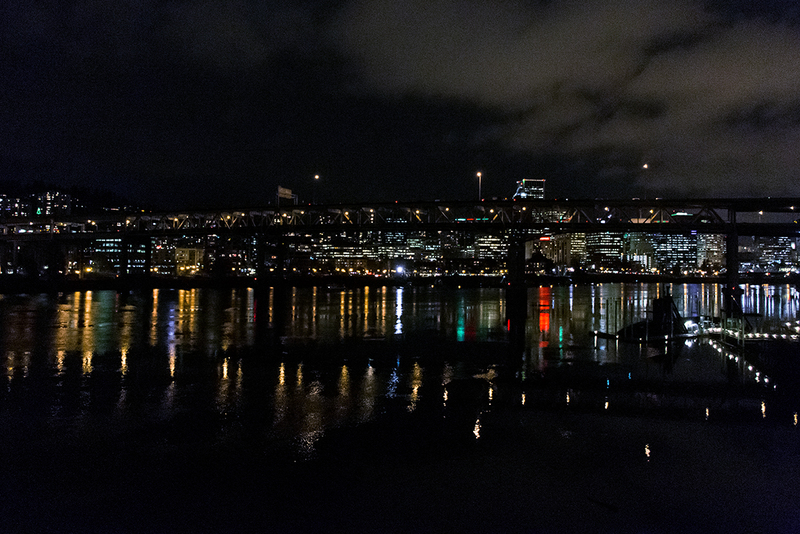 Across the river, the lights twinkle, the sounds float to all corners of the city. Some people are heading into town, and some are leaving, but there are always some on the streets, walking, dining, experiencing. All of it. Great colors and crisp photo.